Be deligent to present yourself approved to God, a worker who does not need to be ashamed, rightly dividing the word of truth. Our body of believers has a hunger for God's Word. The desire for truth has led us to teach book by book and verse by verse through the entire Bible. 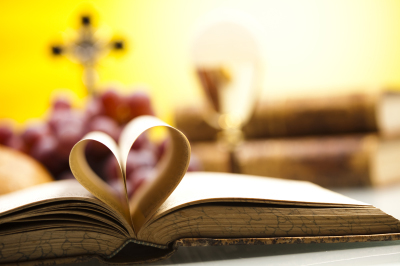 We place great emphasis on Sunday School and encourage individuals to read God's Holy Word daily. The area of ministry is our greatest asset. We actively seek out those who have needs and by the power of God do the best we can in meeting those needs. The testimonies of those we have ministered to reassure us that we are being obedient to the will of our heavenly Father. We are also blessed by God to have a wonderful pastor leading us. He shows sincere care and concern for our church family and community. He does not hesitate to preach the inerrant Word of God, as it is written, to our congregation. The mission of Pine Forest Baptist Church shall be to worship the Almighty God according to the teaching of the Holy Bible, to sustain the ordinances and doctrines and to practice the precepts and examples of the church of our Lord Jesus Christ as set forth in the New Testament, to preach and propagate among all people the Gospel of God's salvation by personal faith in Jesus Christ, the Savior and Lord. We are excited about what God is doing among us! The one word we believe best describes our Church family is "dedicated". We are dedicated to sharing the Gospel, studying God's Word, and ministering to those in need. It is our duty as Christians to make an impact in our community and the world around us. We have a deep concern for reaching the lost. This concern is based on the love we have for God and for each other. 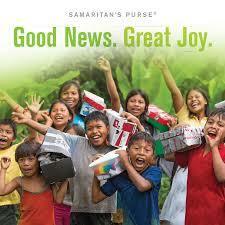 Pine Forest partners each year with Samaratan's Purse and Operation Christmas Child to share the Gospel around the globe. Many children who live in nations that are difficult to reach with the Gospel are able to hear about Jesus Christ through specially packed shoebox gifts designated for hard-to-reach areas. With these shoeboxes, local believers in some of the world's most restricted countries are able to open doors and share God's love. Join our Women's Ministry for their monthly fellowship on Thursday, April 25th at 6:00pm in the Fellowship Hall! Join our Body & Soul Ministry Team as they prepare and deliver meals to those in need throughout our community! Come get up close & personal with elephants, bears, crocodiles, & much more! Grab your camera & buckle your seatbelt as we focus in on some amazing encounters with Jesus! Register NOW for our VBS! Join our Men's Prayer Group on Tuesday, May 7th at 6:30pm in the Hallelujah Sunday school room. All ages are welcome! Join us Tuesday, April 30th at 7:00pm in the Sanctuary as we host the WLHS Chorus Concert! Come support these talented young ladies and men! 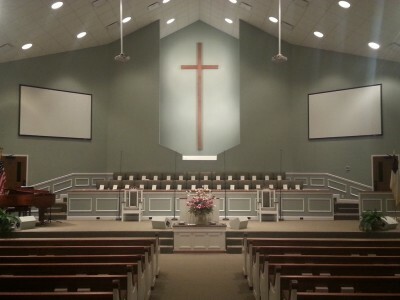 Join us for Gideon Sunday during our Morning Worship on April 28th at 10:30am. Our Gideon speaker will be Bro. Robin Bauer. The Costa Rica Mission trip will take place June 29th - July7th. Please pray for this mission trip. Our 1st through 3rd graders will be attending camp at Lake Forest Ranch July 27th - 31st. Please be in prayer for this camp. Our Youth will be serving lunch immediately following Morning Worship. The meal will include: pork loin, 2 sides, dessert & drink. Donations will be accepted at the door. Please sign-up if you plan to attend. Join us for our Baccalaureate Service during Morning Worship. We will recognize our graduates & their accomplishments. Please see Keely Followay if you are a graduate & would like to be added to the service.